I Danmark b�r Taegeukgi st� som et symbol p� den Taekwondo vi dyrker. If�lge koreanerne, s� repr�sentere Taeguekki alt tings oprindelse i universet. I centrum sidder Yin og Yang (jing og jang). "Yin" er det negative aspekt, vist i bl�t og "Yang" er det positive aspekt, vist i r�dt. Bl� repr�sentere havet og R�d repr�sentere himlen (den r�de solnedgang som det kendes fra det japanske flag). 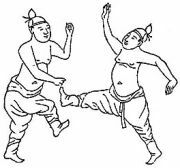 Taegeuk is the Korean cognate of Taiji, the Taoist concept of yin and yang, from which all is actualized. 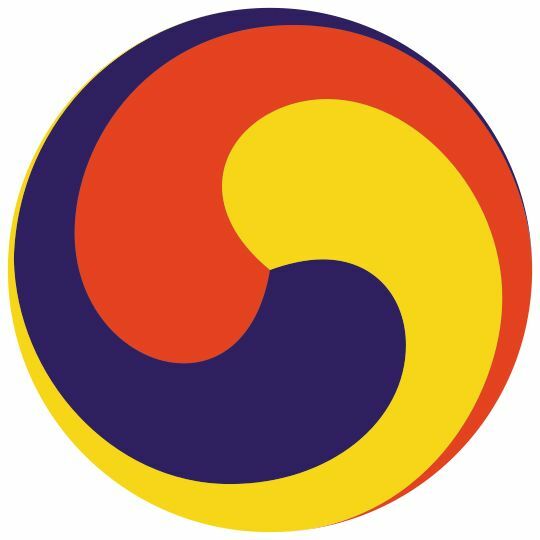 In South Korea, the Taegeuk symbol is typically portrayed in blue (eum, or earth) and red (yang, or heaven). The red and blue are portrayed upside down to accommodate the harmony of nature. The blue (eum) on the flag is intended to pair up with the actual heaven (yang) and create a harmony with red, which would pair up with the actual earth (eum). An example would be have two magnets adjoining each other, "Taegeuk" symbol being in the middle. If the symbol is portrayed according to how humans view the world, red on the top would repel the earth and blue on the bottom would repel the heaven; this would break the harmony of nature. 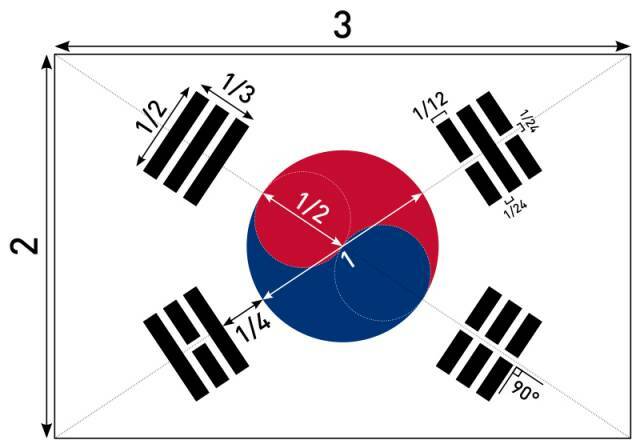 The Taegeuk symbol is most prominently displayed on South Korea's national flag, called the Taegeukgi (along with four of the eight Palgwae diagrams). 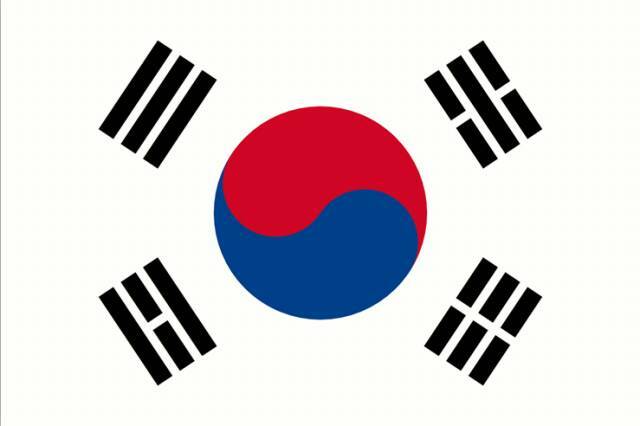 Because of the Taegeuk's association with the national flag, it is often used as a patriotic symbol, as are the colors red and blue. A popular variant in Korea is the Sam-Taegeuk (三太極), which adds a yellow lobe, representing humanity, to the red and blue. The Sam-Taegeuk is frequently seen as a design on the face of fans. Taegeuk (as well as palgwe) is also a series of Taekwondo forms practiced by Kukkiwon member instructors and their students; see Taeguk (Taekwondo).